Join the Frosty Moss Crew: Volunteer! We love how our community joins together to put on fun events! Below are some ways you can help the Frosty Moss Relay become another successful running event on the North Olympic Peninsula. 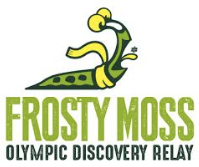 Frosty Moss Relay donates a portion of registration fees to the Peninsula Trails Coalition to support its volunteers on the Olympic Discovery Trail and Adventure Route.